Living life to the fullest Martha Czech Brady (95 years old) passed away peacefully on January 21, 2019 at the Heartwood Senior Living Community in Crosby, surrounded by family. Martha was born in Bowlus, MN on February 18, 1923 to Ralph and Mary (nee Schwalba) Czech. Martha was married to Nick Brady for 49 years until Nick’s death in 1993. Martha worked at Cedar Brook Manor in Deerwood for several years followed by the Cuyuna Range Medical Center where she made many friends. She retired in 1988. 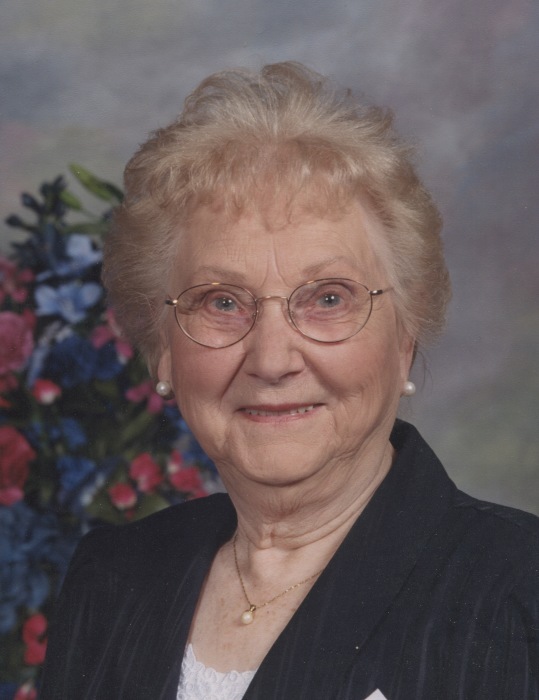 She was a member of the National Catholic Society of Foresters organization as well as an active member of the Myron-James American Legion and served as a former Auxiliary Chairperson. A wise and supportive person who always found the positive in any challenging situation, Martha provided sound, helpful, and caring encouragement to family and friends. Martha’s life revolved around family, church, gardening, and volunteering for community service. Always adventurous and inquisitive of history and other cultures, Martha enjoyed traveling around the world including Russia, Kazakhstan, Italy, Poland, Germany, Spain, France, Netherlands, Ireland, England, and a majority of the 50 states. Martha is survived by six sons and three daughters: Janice (John Bukovich), Nisswa; John (Sally), St. Augustine, FL; Donald, Minneapolis; Karen (John Millsop), Deerwood; Tom (Deb), Ironton; Mark (Susan), Chanhassen; Ken (Diane), Avon; Dean, Deerwood; and Ann (Reginald Welle), Ironton. In addition, she is survived by two sister, Teresa Burgraff of Little Falls and Mary Ann McMannis of Bloomington as well as sixteen grandchildren and seventeen great grandchildren. A son, Robert, three brothers, Leonard, Al and Paul Czech and two sister, Helen Phillips and Loretta Peka proceeded Martha in death. A Funeral Mass will be held at 10:00 a.m. Friday, January 25, 2019 at St. Joseph’s Catholic Church in Crosby. Burial will be at the Lakewood Cemetery in Crosby. A visitation will be Thursday at the Koop Funeral Home in Crosby from 4 to 7 p.m. with a rosary at 6:30 p.m. If so desired memorials are preferred in lieu of flowers.